Office Christmas Party Looks Very Bad, Yet I Still Want to See It. Am I Alone? 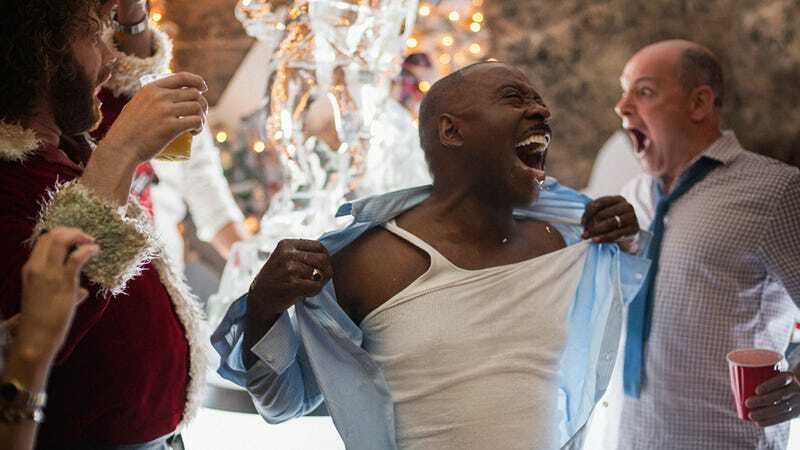 Office Christmas Party is a movie about T.J. Miller, Jennifer Aniston, Courtney B. Vance, Jason Bateman, and Kate McKinnon attending an office Christmas party that, like most office Christmas parties that don’t involve Alan Rickman, turns into a very fun night. It doesn’t look particularly clever (or even very funny), but something about this act of studio desperation masquerading as a triple-A comedy—perhaps the mere fact that it’s set during the holiday season—appeals to some of my more primal desires. It opens today with a 43% on Rottentomatoes, and critics are calling it “joyless and laughless,” “predictable” comedy that “reeks of desperation.” Meanwhile, I’m calling it “a movie I may end up paying $11 dollars to see in the near future.” My coworker Julianne Escobedo Shepherd agrees. So does Kelly Stout.